Manufacturer, Exporter and Supplier of Corporate Gift Items. 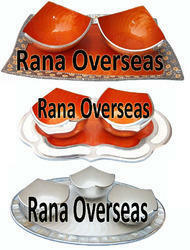 Rana Overseas is the Leading manufacturer, Supplier and Exporter of Aluminium Dry Fruit Bowls in Meenakari Work. We have wide range of Dry, The product is not just about the looks, it is also resourceful like any other normal utensil. For Gifting / Corporate Orders this festive season you can choose from our wide variety of Decorative Dry Fruit Bowls, Aluminium Dry Fruit Bowls, Dry Fruit Bowls, Diwali gift Items, Christmas Gift Items, Corporate Gifts. With the help of our team of adroit professionals, we are indulged in offering a wide assortment of Silver Gold Plated Bowl Set with Tray. Designed by our skilled craftsmen, this set is crafted using optimum quality raw material and advanced technology. Well-known among the clients for its attributes like perfect finish, captivating design and smooth edges, this product is in compliance with the industry quality standards. Available in distinct forms, the offered set can be availed by our clients at market leading prices. 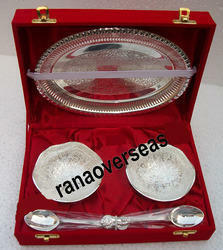 Rana Overseas is the Leading Manufacturer, Supplier and Exporter of Silver Plated Bowl Sets. 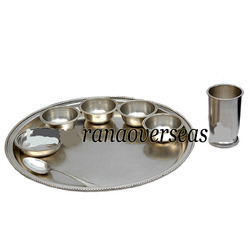 We have wide range of Silver Plated Bowl sets. Silver Plated Five Pcs Bowl Set Silver Plated and Engraving Work on Bowl & A Special chest box designed specially for this unique Bowl, Made from Brass metal and a brilliant set and high quality.Also a Perfect gift item to your loved ones.We have Set of 1 Bowl with Spoon and tray, Set of 2 Bowls with Spoon and tray, Set of 3 bowls with spoon and tray, Set of 4 Bowls with spoon and Tray and Set of 6 Bowls with Spoons and Tray. 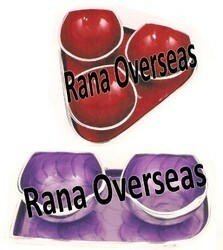 Rana Overseas is the Leading manufacturer, Supplier and Exporter of Aluminium Dry Fruit Bowl in Meenakari Work. We have wide range of Dry, The product is not just about the looks, it is also resourceful like any other normal utensil. For Gifting / Corporate Orders this festive season you can choose from our wide variety of Decorative Dry Fruit Bowls, Aluminium Dry Fruit Bowls, Dry Fruit Bowls, Diwali gift Items, Christmas Gift Items, Corporate Gifts. 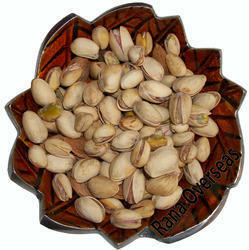 Rana Overseas is the Leading manufacturer, Supplier and Exporter of Aluminium Dry Fruits Bowl in Meenakari Work. We have wide range of Dry, The product is not just about the looks, it is also resourceful like any other normal utensil. For Gifting / Corporate Orders this festive season you can choose from our wide variety of Decorative Dry Fruit Bowls, Aluminium Dry Fruit Bowls, Dry Fruit Bowls, Diwali gift Items, Christmas Gift Items, Corporate Gifts. 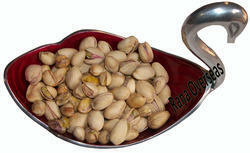 This fantabulous range comes in an amazing variety of Aluminium Dry Fruit Bowl Set. The product range comes in a variety of shapes, colors and sizes and is a treat to the eyes of the lookers. The product is not just about the looks, it is also resourceful like any other normal utensil. This designer enamelware has a food grade enamel paint which not only makes it unbreakable it also makes it completely ingenious. For Gifting / Corporate Orders this festive season you can choose from our wide variety of Decorative Crockery, Snacks Platter, Dry Fruits Tray, Unbreakable Designer Crockery, Hand Paint, Chocolate Tray, Enamel Paint Unique Gift, Sweet Tray, Aluminium Based Colorful Crockery. This fantabulous range comes in an amazing variety of aluminium enamelware. The product range comes in a variety of shapes, colors and sizes and is a treat to the eyes of the lookers. The product is not just about the looks, it is also resourceful like any other normal utensil. This designer enamelware has a food grade enamel paint which not only makes it unbreakable it also makes it completely ingenious. For Gifting / Corporate Orders this festive season you can choose from our wide variety of Decorative Crockery, Snacks Platter, Dry Fruits Tray, Unbreakable Designer Crockery, Hand Paint, Choclate Tray, Enamel Paint Unique Gift, Sweet Tray, Aluminium Based Colorful Crockery. This fantabulous range comes in an amazing variety of aluminium enamelware. The product range comes in a variety of shapes, colors and sizes and is a treat to the eyes of the lookers. The product is not just about the looks, it is also resourceful like any other normal utensil. This designer enamelware has a food grade enamel paint which not only makes it unbreakable it also makes it completely ingenious. For Gifting / Corporate Orders this festive season you can choose from our wide variety of Decorative Crockery, Snacks Platter, Dry Fruits Tray, Unbreakable Designer Crockery, Hand Paint, Chocolate Tray, Enamel Paint Unique Gift, Sweet Tray, Aluminium Based Colorful Crockery. 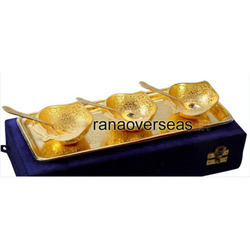 This fantabulous range comes in an amazing variety of Brass Dry Fruits Bowl Set of 3 Pcs. The product range comes in a variety of shapes, colors and sizes and is a treat to the eyes of the lookers. The product is not just about the looks, it is also resourceful like any other normal utensil. This designer enamelware has a food grade enamel paint which not only makes it unbreakable it also makes it completely ingenious. For Gifting / Corporate Orders this festive season you can choose from our wide variety of Decorative Crockery, Snacks Platter, Dry Fruits Tray, Unbreakable Designer Crockery, Hand Paint, Chocolate Tray, Enamel Paint Unique Gift, Sweet Tray, Aluminium Based Colorful Crockery.